"There are many other experiments that may be tried by boys interested in this subject, but as they necessitate more or less complicated and expensive equipment they are omitted, it being the object of this book to describe only such things as can be manufactured by the boys themselves." Abba Lot came to Abba Joseph in the desert and said: Father, as best I can I keep my little rule, I fast, I pray and meditate, I live in peace, and I purify my thoughts. Now what else should I do? The elder stood up and stretched out his hands, and his fingers were tongues of flame. He said: Why not become all fire? 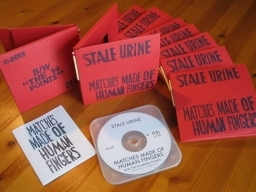 MATCHES collects recordings from 2000-2003, a time when Stale Urine was unusually productive, despite being officially on hiatus. The CD also contains the digitally remastered re-release of The Fourteen Points. Copies of MATCHES are available for $10. To order, contact info@staleurine.com. Was it beating for me? From "Into the Mouth of Hell"
La Usonia Domo estas por la ordinaria homo. La Usonia Domo enkorpigas la usonan revon. Le prerio estas personiga en la domo. La Usonia Domo estas ne pure usona. Gxi krude sxtelas japanan estetikojn. Kial gravus manko de sidejoj de servistoj? Por laboristo, arkitekto estas luksajo. Sed ordinaria entreprenisto lernas per pionero de Jacobs. Permesas sublimen usonan gloron de la funkcia. Trim your web belt to size. Remove your button down collar when wearing a double-breasted suit. Downplay the label on your jeans. Remove the tag from your sleeve. Four cassettes recorded individually by Mike Benedetti with Melody Shue, Alex Dunn with The Theremin, Michael Radford, and Adam Villani. Originally debuted simultaneously on four boomboxes operated by Lee Kopenhauer, Mike Benedetti, Michael Paulukonis, and Ruth Giovannitti as part of "Waiting for the Flood" at Afa Gallery, Scranton, Pennsylvania, December 9, 2000. 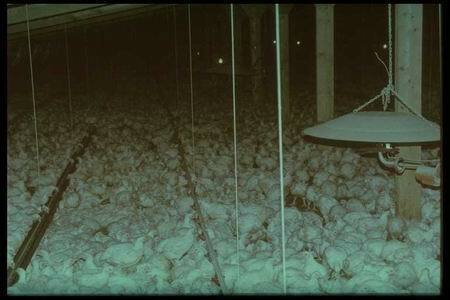 The tapes are here remastered with a binaural microphone simulation by Michael Radford. Wet (River). 60 seconds. E, F#, A. 90 bpm. Cold. 7. Dry (Savannah). 30 seconds. C#, D#, F#. 120 bpm. Warm. 3. Dry (Mojave). 45 seconds. D, C, A. 90 bpm. Cold. 6. Wet (Ocean). 90 seconds. G, G, E. 60 bpm. Temperate. 5. Coda (Forest). 15 seconds. B. 120 bpm. Warm. 8. First beat of each section lands exactly at the start of the section. Please use a standard cassette recorder. Please include instructions on appropriate volume, spatial placement, and how to cue the tape. Flew in this morning from L.A. Written and recorded by Mike Benedetti, Jon Lange, Michael Radford, Kurt Revis, and Adam Villani in Seattle, Washington, October 25-26, 1997. Originally released as DEI-42. 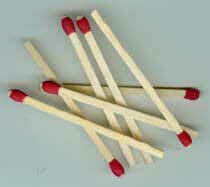 Matches Made of Human Fingers copyright © 2003 Stale Urine. The Fourteen Points copyright © 1997 Stale Urine. This compilation copyright © 2003 Stale Urine. All rights reserved. Distributed in the United States of America and their possessions by the Pacific Recording and Trading Company.